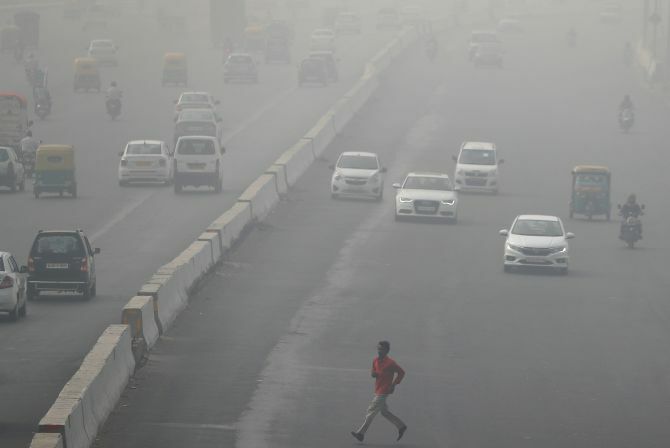 The Delhi government on Monday moved the National Green Tribunal seeking modification of its November 11 order refusing to exempt women and two wheelers from the odd-even car rationing scheme to tackle pollution. The application, filed before a bench headed by NGT Chairperson Justice Swatanter Kumar, sought exemption of women drivers from the scheme, saying it may affect the safety and security of women. It sought that the exemptions be allowed for one year till the government procured 2,000 buses for public transport to tackle lakhs of commuters. “The implementation of the scheme will cause great hardship to two-wheeler owners. This may affect the safety and security of women drivers also,” the application, which is likely to be heard tomorrow, said. “In case, the women drivers are not included in the exempted list, there may be a likelihood that such women passengers do not find themselves comfortable while travelling in heavily crowded public transport buses. “The crowding in public transport buses may deter the women passengers in using the bus mode because of safety and security reasons and therefore, the purpose of the scheme will be defeated,” it said. It sought exemption for two-wheeler and women drivers from the odd-even scheme for a period of one year or till 2,000 more buses are engaged, it said. The NGT had on November 11 given a conditional nod to the Aam Aadmi Party government’s decision to implement the odd-even scheme for five days from November 13, ordering that no exemption should be allowed to “any person or officer and two-wheelers”. The government had on Saturday scrapped its plan to implement the odd-even vehicle rationing scheme it had slated to start from Monday, after NGT said there will be no exemption for women, two-wheelers and government servants. The NGT had in its order said the odd-even scheme should be implemented “without any default” as and when PM (particulate matter) 10 level goes above 500 microgram per cubic metre and PM 2.5 level crosses the limit of 300 microgram per cubic metre during a span of 48 hours. The national capital region has been experiencing dense smog for about a week, forcing the authorities to enforce emergency measures such as banning construction activities and brick kilns. Earlier, Delhi minister Gopal Rai had said that his government was in touch with environment scientists and continuously monitoring the alarming pollution level which has left people gasping for breath. “Movement of trucks and construction works are under scrutiny, water is being sprinkled, we are continuously monitoring the situation,” Rai told a press conference, adding, “There is a meeting with Pawan Hans officials to discuss the plan of aerial sprinkling of water”. The minister, who holds the transport portfolio along with several others, also hit out at the Haryana government for “playing blame game on stubble burning instead of taking action in his own state”. What's behind Delhi's air pollution? Can Vodafone Idea reap synergy benefits?